Corrective Jaw Surgery, also known as orthognathic surgery, is performed by surgeons to correct different types of minor and major dental and skeletal irregularities. This also includes misalignment of teeth and jaw. This surgical procedure is aimed at improving a person’s ability to speak, chew, and breathe. Most of these procedures can bring a dramatic improvement in the patient’s appearance; however corrective surgeries for jaw are performed for overall functional advantages as well. Who Requires a Jaw Surgery? People who benefit from undergoing jaw surgery are mostly those with improper bite due to maligned jaw or teeth. At times, the rate of growth of upper and lower jaw is different resulting in imbalance which often necessitates surgery. People with injury to the jaw area or birth defects may also have maligned jaw. Orthodontic methods can provide a temporary relief but in order to seek a long term solution, corrective surgery is required. • Straining when trying to make the lips meet. • Difficulty biting or chewing food. • Problems with temporomandibular joint pain and headaches. • Sleep apnea or problems with snoring. • Dry mouth or chronic problems with mouth breathing. • Imbalance of the facial features from the side or from the front. • Unwanted space between the upper and lower teeth even with mouth closed. • Excessive wearing of the teeth. Undergoing Jaw Correction Surgery requires good deal of commitment from the patient. Before the procedure, orthodontic braces may be used to move the teeth into right position. At times, the new positioning of the teeth may make your biting a little more difficult however that’s more of an initial step to lay foundation for the surgery. Proper fitting of the teeth is important to ensure good repositioning of the jaw. This is the part of pre-operative treatment. As your preoperative treatment nears completion, you will be required to go through the periodic x-rays, updated records, and pictures of your teeth. These will act as a guide to the surgery. Your surgeon will work on repositioning the jaw in accordance to the needs specifically. Approximately 2 hours before the surgery, you will check in the surgical area. Depending on the type of procedure to be performed, corrective jaw surgery may be performed under general anesthesia. Surgery may take a few hours to complete. You may undergo physical examination and few blood tests to ensure good health. The soft tissue incisions are placed entirely inside the mouth. Specialized instruments are used by the surgeons to make bony cuts in the jaw to move it in forwarding or backward direction as required. Once the jaw is in the desired position, the upper and lower jaws are temporarily wired and the repair of bony cuts is done. There are advanced techniques these days which do not require the patient to have their jaws wired and shut for few weeks which was the case in the past. The incisions during the surgery are carefully sutured. These heal well and are invisible in the mouth. Swelling, facial bruising, and groggy feeling are common for the patient to encounter after the procedure. In order to ease the discomfort, one may be given pain medications if such a need is felt. Though, the whole procedure is as such fairly painless. Gums and lips may feel numb initially but this is temporary and soon all is back to normal. After surgery, you will be provided instructions for modified diet plan by your surgeon. This will include combination of liquid & semi-solid foods and a schedule for transitioning to normal food. You may also be asked to abstain from tobacco and any strenuous physical activity. Patients are able to return to regular schedule in 1-2 weeks after the procedure, depending on the recovery and the overall healing. 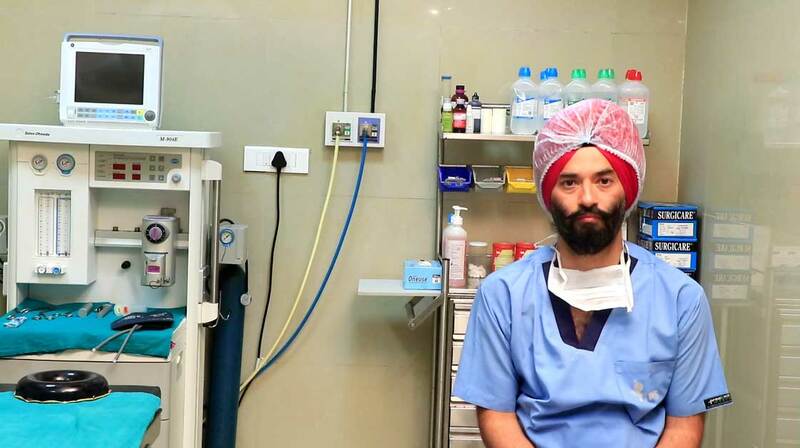 Planning to get Jaw Surgery in Punjab, Chandigarh? Are you planning to get jawline surgery done to get rid of your jaw problems? If yes, it is imperative to seek consultation from a competent plastic surgeon and an orthodontist to align your expectations with the outcome of the procedure. Lower Jaw Surgery and Corrective Jaw Surgery can help to provide you with a position that is healthy, functional, and more balanced. 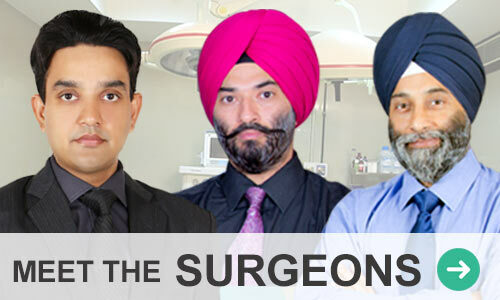 Tricity Institute of Plastic Surgery (TIPS) has a team of dedicated and highly experienced plastic surgeons. If you have decided to get rid of your jaw problems, you should get in touch with TIPS right now. 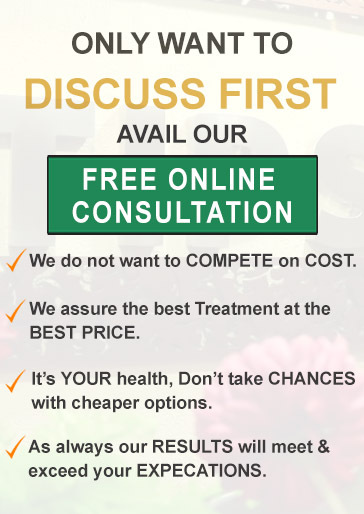 Just fill in the contact form available online to seek a free consultation and we will get in touch with you. Be assured that all communication between you and TIPS will be kept highly confidential and private.